Even though the Dutch are practically attached to their bikes, there are times when the weather or long commutes make cycling inconvenient. Cue rideshares. Not only can a rideshare provide a convenient, comfortable and cheap commute, but it can also save you money and help the environment. 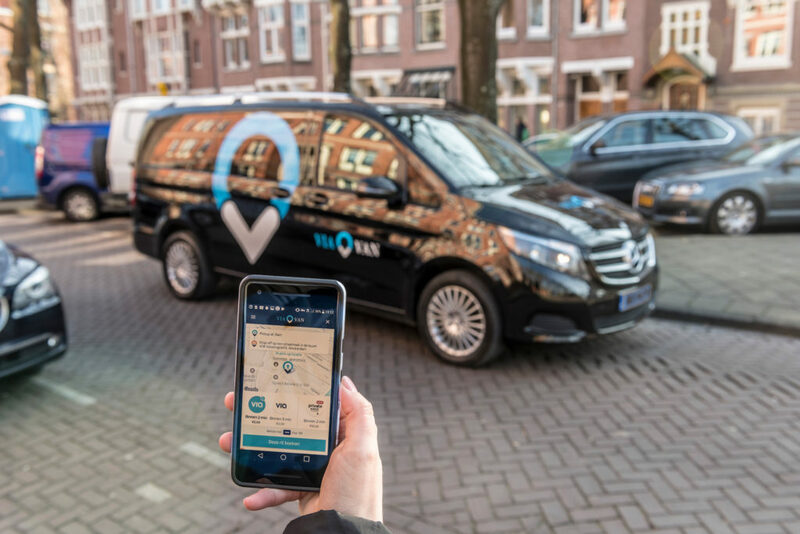 We spoke to John Criezis and Yariv Hauer from the smart new and affordable rideshare that just launched in Amsterdam, to find out why people should give their pedals a break and take a rideshare instead. Just because you’ve opted for a rideshare doesn’t mean you have to sit through lengthy detours while other passengers are collected. ViaVan’s super smart algorithm perfectly matches you with others going your way. There’s nothing more frustrating than traffic, especially if you’re in a rush. Traffic is mainly self-inflicted, with everyone trying to get to the same place at the same time, in separate vehicles. Sharing rides means fewer cars on the road, which is great for you and the city. Imagine roads free of congestion – this is just another bonus that ridesharing offers. By taking a rideshare over a private car, you’re keeping more money in your pocket. There are better ways to spend your cash than on commuting! 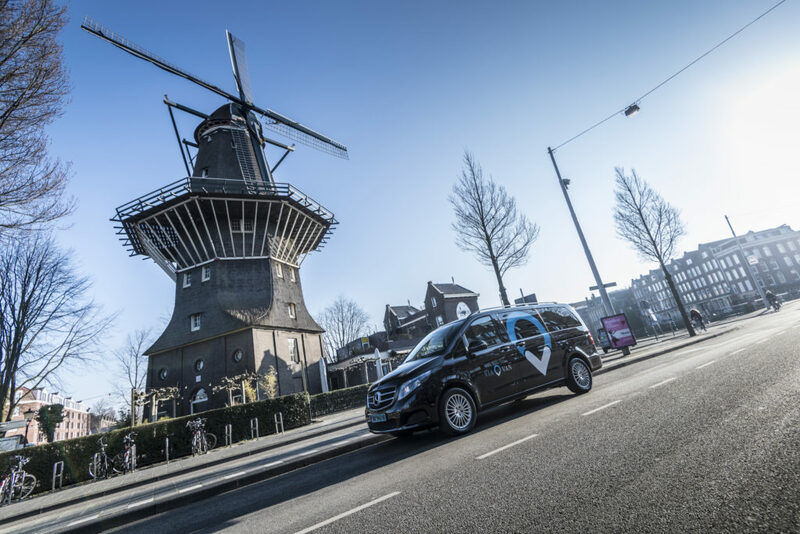 Currently charging just a €3 flat fee across Amsterdam’s city center, ViaVan is a significantly cheaper alternative to a private ride. The fee is on par with public transport, but ensures a more comfortable and convenient ride. There is something truly special about the people who choose to ride and drive with ViaVan. The rideshare community is made up of people who believe that by sharing a ride, we benefit our city, our planet, and one another. People who believe that we’re smarter together. Ridesharing can help bring people together, and who knows, a chance meeting in a rideshare can lead to a new job, a new love, or just learning something new from a neighbour. In New York, couples who met in a rideshare even got married! Fewer cars on the road equals less carbon emissions. By ridesharing, you’re contributing to saving the environment, which will earn you some serious karma points from Mother Nature. Public transport is a great option sometimes but it can be a bit rigid and not always available. It’s also restricted by schedules, and stops operating at a certain time. “The best thing about ridesharing is that it’s on-demand, so you can book your ride in real time when you need it, and the ride comes to you.” says Yariv. ViaVan is a 24-hour service that’s filling the gap between public transport and private rides. So you can now ride for little more than the price of a tram, with the convenience, speed and comfort of a personal car. As a treat, ViaVan created a promo code exclusively for Expat Republic readers, which will give you 2 free rides. Simply download the , sign up, enter the promo code EXPAT and enjoy 2 free rides with ViaVan!